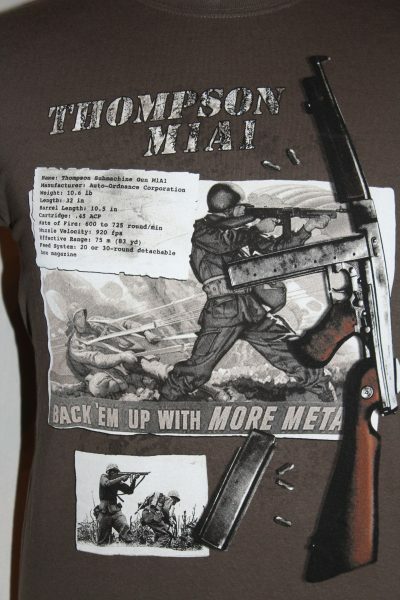 The Thompson M1A1 Sub Machine Gun T-Shirt is a single sided print in grey. Front Design Only: Thompson with statistics plate, magazine and ammo screened on the front. 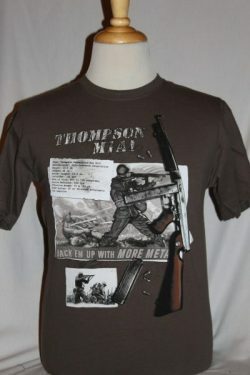 One of the best weapons used by US Army, US Marines and Allied forces during World War II.